Born in 1989, Matthijs Munnik lives and works in The Hague, the Netherlands. He studied at the Academy of Arts in Groningen, then graduated from the Royal Academy of Arts in The Hague in 2011 (art science department). Half-way between performance and installation, with a large part given over to light, sound and colour, his work is inspired as much by sensory perception as by scientific and biotechnological research. 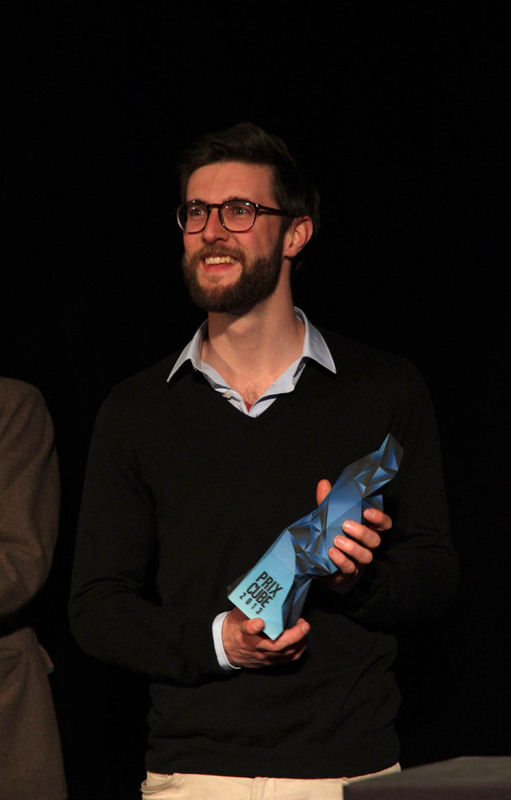 The first Prix Cube was awarded to Matthijs Munnik (Netherlands) for his work Microscopic Opera, an opera played in real time by micro-organisms. This work questioned our relationship with living things in the face of technological developments while also inviting viewers to thoughtfully reflect and listen. His installation, Microscopic Opera, won an award last year from the Artist & Designer 4 Genomics Awards and was nominated for the Rotterdam Design Award.